Please bring a laptop to the workshop! The best way to avoid plagiarizing by mistake is to be meticulous in your citing of articles, books, and online sources. Following the style manual your professor requires, however, can be confusing and frustrating. 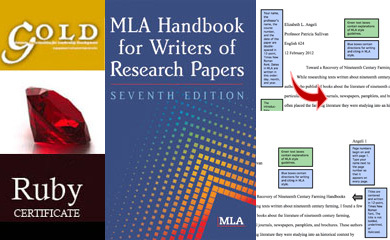 This workshop will give you practice in placing footnotes or in-text citations correctly in the MLA style. It will also help you learn what needs to be included in citations for common materials. Hold the presses! Students writing papers using Turabian citation style (and the faculty grading such papers) should be aware that there are changes in the conventions recommended by the new edition of the Turabian manual. The devil is in the details. 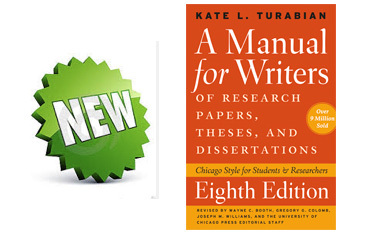 The 8th edition of A Manual for Writers of Research Papers, Theses, and Dissertations (commonly knows as Turabian) was published in March 2013. Some of the changes involve how you cite web pages and articles you read online. For instance, the new edition flips the URL of a web page with the access date. “Breast Cancer Disparities.” Centers for Disease Control and Prevention. http://www.cdc.gov/DataStatistics (accessed December 6, 2013). “Breast Cancer Disparities.” Centers for Disease Control and Prevention. Accessed December 6, 2013. http://www.cdc.gov/DataStatistics. Small change, but one that could elicit points off if the student doesn’t know the new form (or might cause the professor who doesn’t know the new form to grade incorrectly). Another change involves the use of DOIs (digital object identifiers) instead of URLs when citing a journal article read online, or a web page. DOI’s are more stable than URLs, and usually shorter. Another 8th edition recommendation: “If no suitably short and direct URL exists, you may substitute the name of the database for the URL.” So if you have a URL or DOI, you do not need the name of the database. Talk about it with your professor! Keep in mind that there are many professors who deviate from the Turabian manual in the way they want you to cite an article that you read in PDF form. They feel that if you read a journal article as a PDF (either downloaded from the web or via IDS), you can cite it as though you read it in print, since it is an exact copy of what appeared in the journal. 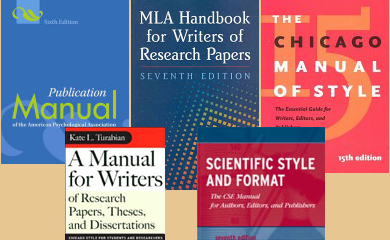 There are many optional recommendations in the Turabian manual (for instance, there is a chapter recommending an author-date style of citation reminiscent of the APA and MLA style manuals), so it is really important that students and professors talk about exactly which chapters of the Turabian manual should be followed! Access to most of the commonly used styles are just a click away on the Milne Library website under Research Help, Citation Guide. If you’d prefer a print copy, the Service Desk has copies available for a 4 hour loan. Just stop in to the Research Consultation area or ask at the Service Desk. 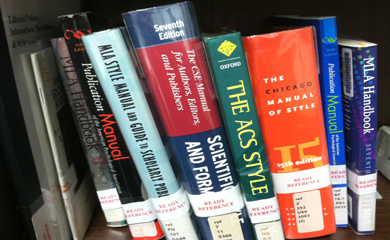 Need help citing those sources? 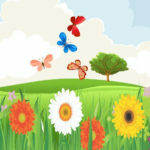 Access to most of the commonly used styles are just a click away. 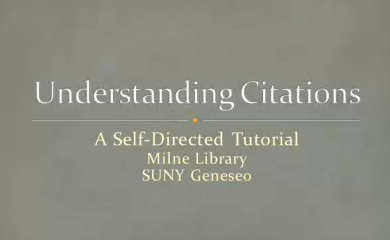 You can find them on the Milne Library website under Research Help, Citation Guide. If you’re like me, much of the time spent away from your laptop is spent checking your phone for news, email and new xkcd comics. If you’re spending that much time on your phone, you might as well do something useful. Check out the following free apps to help you search the literature, cite your sources, and organize your work. Ebsco Databases – Ebsco provides access to a large number of databases via one app (ERIC, Georef, American History and Life, MLA International Bibliography, Business Source Complete, Academic Search Complete and lots of others). Because access to these databases is paid for by the library (with your tuition dollars), you need to log in to Academic Search Complete via the library website first. At the bottom of the screen you’ll click on a link that will send an email with an activation code. After downloading the app, open your email on your phone and click on the link. You will then have 9 months of access. I’ve found this process to be pretty simple and easy – no need to log in every time. 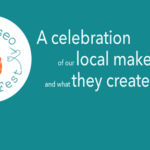 The app will connect you to full text articles within the Ebsco databases, and even Geneseo’s “Get it” service for articles found elsewhere. SciVerse Scopus Alerts – A search app for the interdisciplinary database Scopus. This app can do keyword searching, citation tracking, and alerts for the science and social science literature. Scopus is an outstanding database, but the app has some issues. The biggest problem is getting it to work. You need to remember your Scopus username and password (not your Geneseo username), and even then there can be trouble. 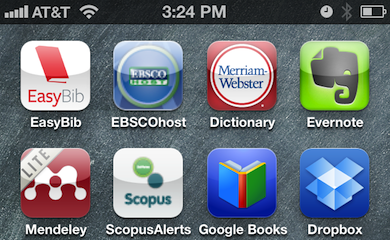 While the tech support is responsive, it just isn’t as easy to get started as the Ebsco app above. 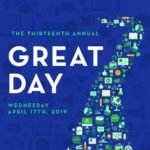 Evernote – I recently started using this piece of software on my computer for note taking during meetings and lectures. I am in love with its simplicity and universal usefulness. Take class notes on your computer, then download the iPhone app to access them anywhere. Record voice notes on your phone and automatically sync them to your laptop. 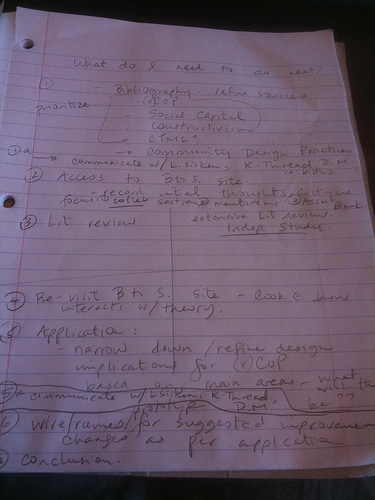 Take pictures with your phone and insert them into the notes you’ve already started, or start a new note. 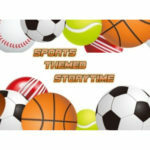 The iPhone app syncs with the desktop application so that you never have to guess where a certain piece of information is. Share notes with others via shared notebooks or simple weblinks. I love this app. Dropbox – Along with the Dropbox website, this tool allows you to easily share files among friends (with shared folders), or between your computer and phone. EasyBib – An app from the popular website. This app allows you to scan the barcode of a book and create a formatted citation (which you will, of course, check against the style manuals for accuracy). Merriam Webster Dictionary – There are lots of dictionary apps out there. This one is free, and has a nifty voice search function. Mendeley – This app works with Mendeley Desktop and the Mendeley website. 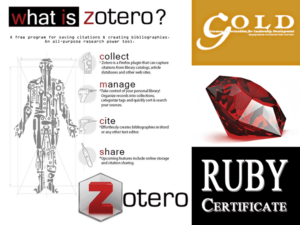 It allows you to store and organize your PDF journal articles and book chapters. It’s like iTunes for journal articles: Mendeley will organize your folders for you and you can create folders (playlists) of articles. You can share those folders with others to help you collaborate on group projects. The desktop version integrates with Microsoft word to help you cite your sources. This mobile app allows you to access the journal PDFs you have synced to the web, as well as the ability to search your personal library. Since I don’t have an Android phone, I can’t comment on the availability or usability of these apps on that platform. Perhaps in another post. What apps do you use to get your work done? If you’re like most students at this point in the semester, you are probably juggling multiple research papers or projects. Keeping track of your research from all those various places you have to look (book catalogs, journal databases, and websites) can sometimes be challenging. 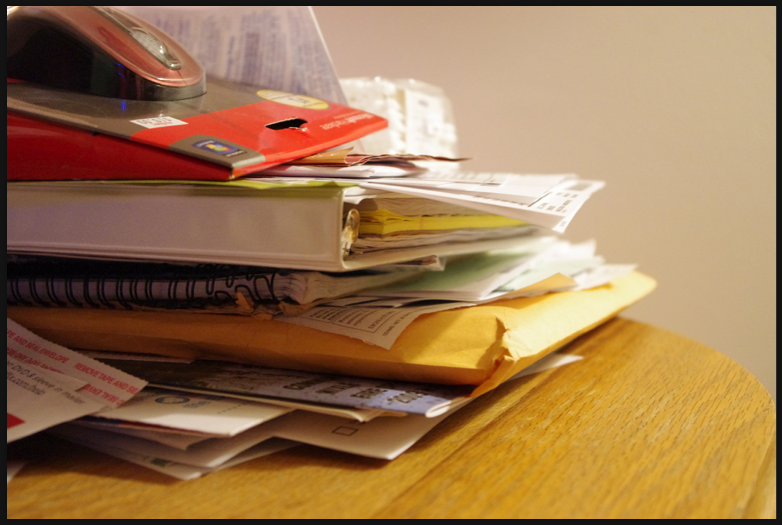 There are a number of free citation management tools on the market that can help you get organized. These tools will help you save and organize all of your research in one place, much like iTunes does for your music files. Some of them will even insert citations and bibliographies into your paper for you. Check out this library guide to explore some of the more popular tools available. 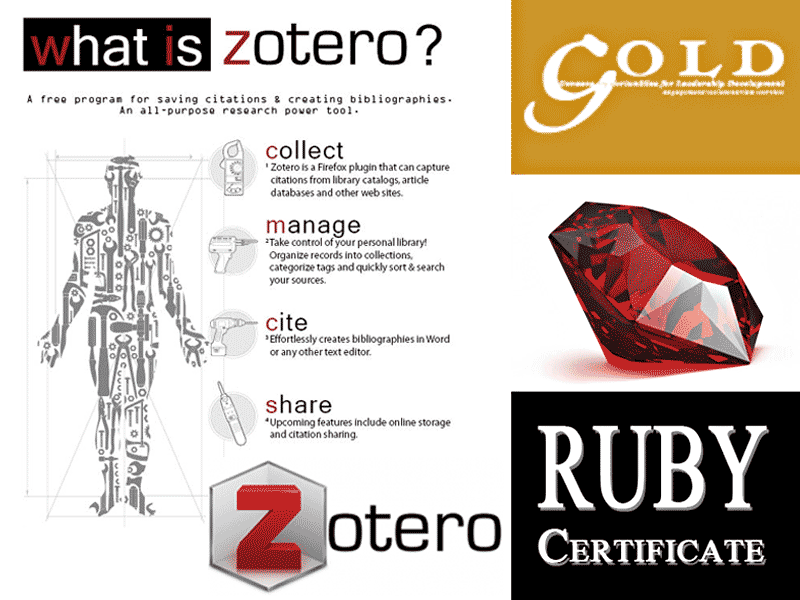 Join Milne Librarians this week as they offer two more GOLD workshops as part of the Ruby Leadership for the Information Age Certificate series. 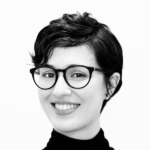 On Tuesday, April 6, 2-3 p.m. in Milne 208, Tracy Paradis will present Using Diigo Bookmarking Tool, a powerful research tool that combines enhanced online browsing and interactions with annotation, social bookmarking and information sharing capabilities. No longer do students need to print web pages to highlight and take personalized notes! Workshop participants will learn how to save, annotate, tag and share their favorite sites while creating their own personal archive. 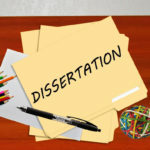 Students feeling unsure or anxious about citing the sources used in their research papers may want to attend Citing Sources in English and History, offered by Sue Ann Brainard on Wednesday, April 7, 2-3 p.m. in Milne 109. 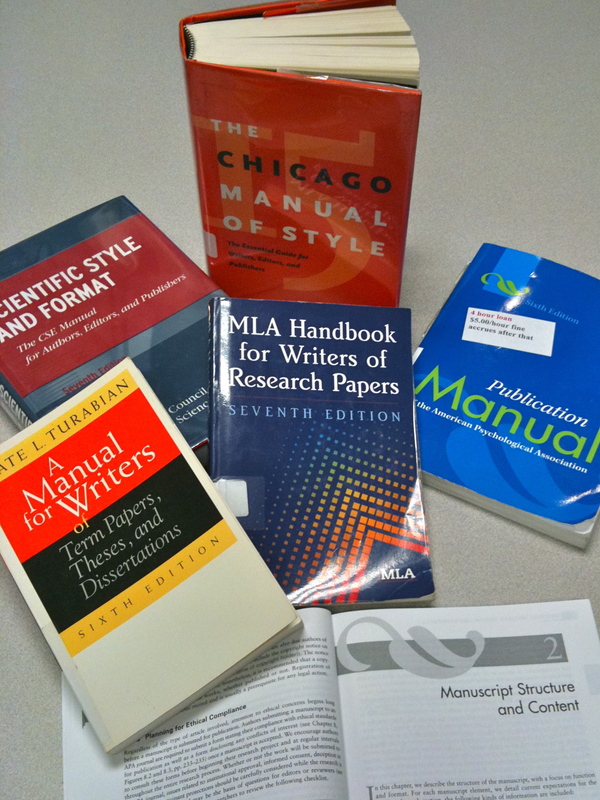 Participants will practice writing bibliography entries and footnotes in both MLA and Turabian/Chicago styles. The workshop will cover tricky entries for reprinted articles, essays in collections, and primary sources like oral histories and interviews. See the GOLD registration page to register for these workshops and others.